Fantastic sight-seeing tour about the royal route and Gdansk's medieval history that will leave you speechless! See all there is to see in the beautiful Polish Baltic Sea towns of the Tricity! What does Copernicus and gingerbread have in common? Click here to find out! Taste traditional Polish meals, visit 4 establishments, endulge in a decadent dessert, and try real Polish vodka - all for one low price. Explore a land known for its ethnic minority and famous for decadent foods, beautiful embroidery, and splendid pottery! Have you ever taken a tour of the largest gothic castle fortification in Europe and the main strong hold of the Teutonic Knights? Good. Now click. Once used by Nazis for rocket launches and Africa Corps training; now it is a UNESCO site, and a beautiful national park. Visit the first concentration camp created by the Nazis and see where hundreds of thousands of people died. Learn about amber trade, the manufacture, and the precious stone known as the Gold of the North. See where Nazis' attempt to assassinate Hitler occurred and explore one of the most stunning baroque relics of northern Poland. Have you ever been to Gdansk? Or maybe you have heard about Malbork Castle? If answer for both questions is “no” then you should visit it now! Gdansk is a beautiful city located on the Baltic coast and is Poland’s principal seaport. We have prepared perfect combination of things to do in Gdansk for the best possible experience. If you are interested in finding out the historical sights of Gdansk then the Gdansk Royal Route tour is the best choice. It’s an unique opportunity of walking famous route of most representative streets of Gdansk old town. If you want to see more than old market and main streets take our Taste of Gdansk Tour where you will see places like: European Solidarity Centre, Monument of the Fallen Shipyard Workers and more! Sightseeing nearby historical places is also a great idea. Malbork Castle Tour is a trip to the best preserved gothic stronghold and one of the biggest castle in the world. The size of the fortress is breathtaking and you need to see it with your own eyes. Secondly we recommend a trip to Stutthof concentration camp. This tour is a visit to the first Nazi Concentration Camp outside German territory which is located almost 40 km away from Gdansk. 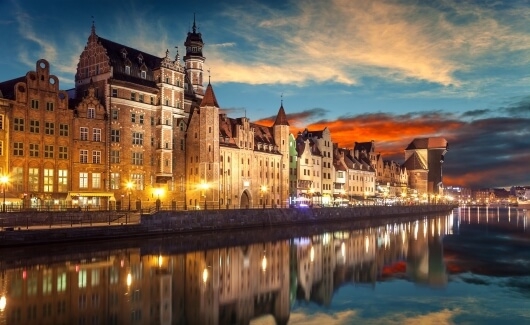 Pick a tour and visit Gdansk now!